Did you make your bed? Remember to pick up milk! When will that report be ready? Depending on your personal outlook, you may perceive these kinds of comments to be useful prompts, or unnecessary but well meant reminders – or possibly obnoxious nagging. From the perspective of the one doing the reminding, it’s hard to tell whether it’s worth the trouble or simply makes things worse. Fortunately (if you’re the reminding type), it turns out that repeating a request or suggestion appears to do more good than harm. One study on exercise motivation divided sedentary people aged 55 and up into three groups. After a session with a health educator in which participants set exercise goals, the members of one group received a phone call from the educator every few weeks, asking how they were doing, congratulating them on their achievements, and suggesting ways to improve. Another group went through the same process, but their phone calls came from a computer. The third group (the ‘control group’) weren’t encouraged to exercise any more than they already were. After a year, the participants in both the groups receiving telephone calls were exercising significantly more than the control group. Six months after the study finished, most of them were still exercising regularly. A very different study looked at managers who sent the same message in different ways to their employees. The researchers watched a number of project managers during their normal office interactions and observed that they often communicated something to their team members in person, then repeated it in an email or text message (or vice versa, repeating in person something that had already been written). Analyzing all the communications, the researchers found that even when the original message had been clear, repetition led to team members understanding the situation better and projects moving forward more smoothly. This was especially true when the follow-up messages encouraged the recipients to evaluate the urgency of a situation themselves, rather than just telling them it was urgent. 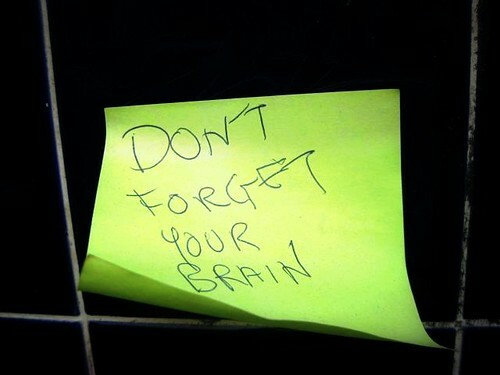 So, in general, it looks as though reminders work. This information might not be useful to those of you working toward society-wide changes, but if you’re trying to encourage individuals to change, it could help to know that occasional reminders – phrased tactfully, of course – are more likely to result in cooperation than in resentful obstinacy. And yes, Mum, I made my bed. Isn’t it gratifying to know that those hundreds of reminders during my childhood are still working?